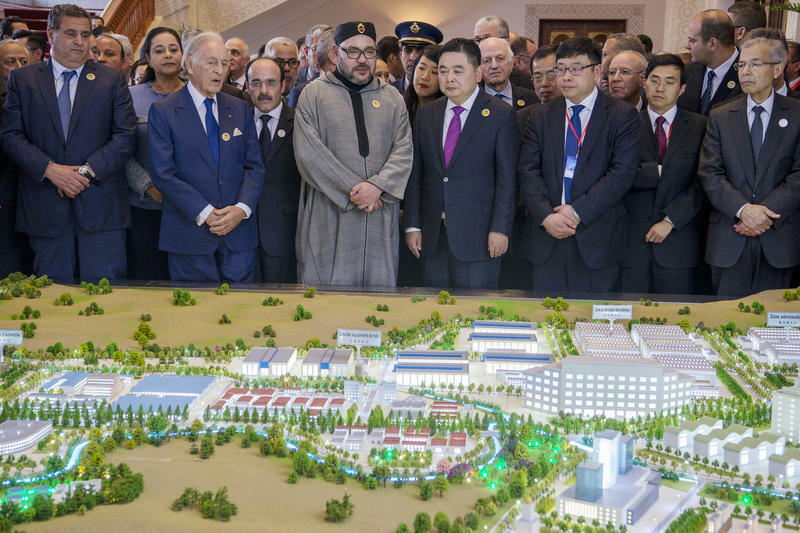 Will Morocco's Chinese-Funded 'Tech City' Ever Break Ground? In the desert scrubland of Morocco's Tangier region, a donkey laden with water bottles trots down a pebble lane chased by two small children. A farmer herds his cows in the near distance. Crickets leap in the dry grass. It's within these gently undulating hills, just inland from the coast, that China plans to build an entire city that will stand in monument to its expansion into a North African nation on Europe's doorstep. 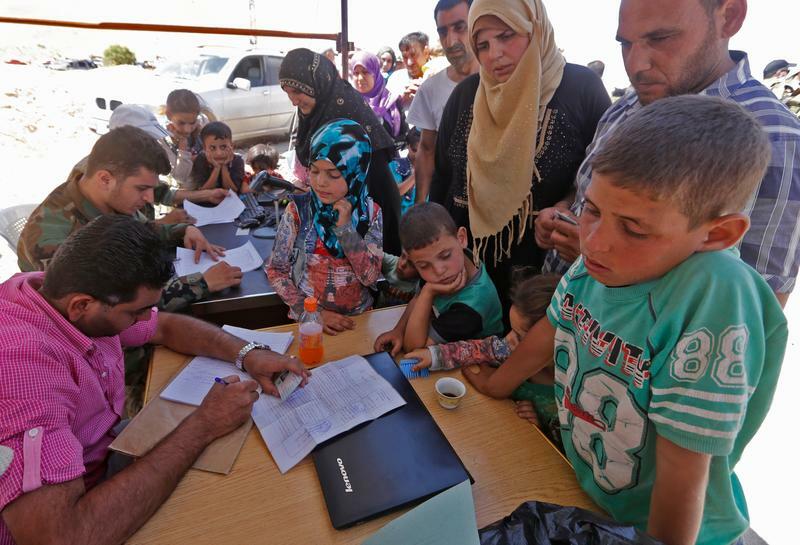 The leaders of Russia and Turkey announced a plan Monday to establish a demilitarized zone in Syria's Idlib province, in an effort to avert a looming military offensive that aid groups say would have catastrophic humanitarian consequences. In long talks in the Russian city of Sochi, Turkish President Recep Tayyip Erdogan and Russian President Vladimir Putin agreed to create a buffer area between Syria's rebels and pro-government militias by Oct. 15. 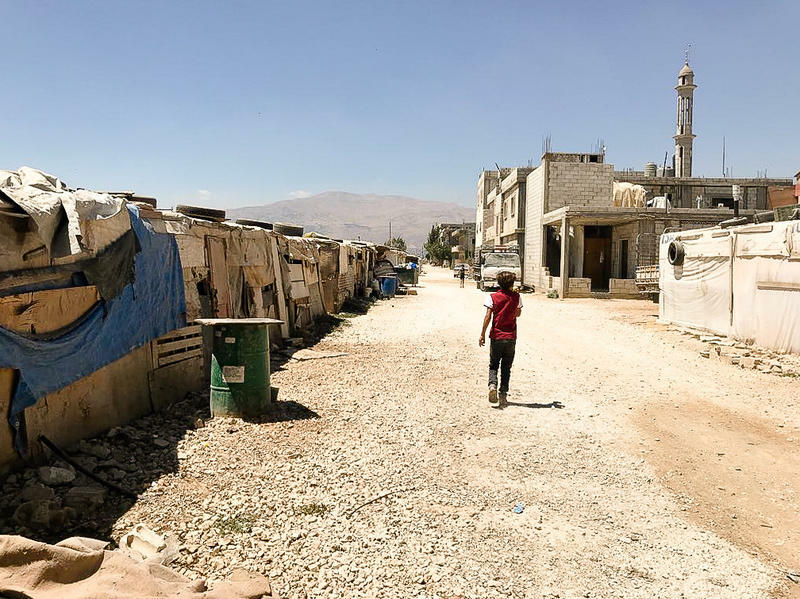 In her simple home in a settlement in Lebanon's Bekaa Valley, next to tents sheltering other refugees from the war in Syria, Raja talks about the time when two young German men arrived at her door several months ago. They told her they were researchers for a charity. "They seemed fine," Raja says. "They just wanted to come in and film the house. We said, 'We have nothing to hide.' They filmed everything, even the kitchen." Raja, who is afraid to give her full name, says she wouldn't have let the men in if she'd known how the footage would be used. 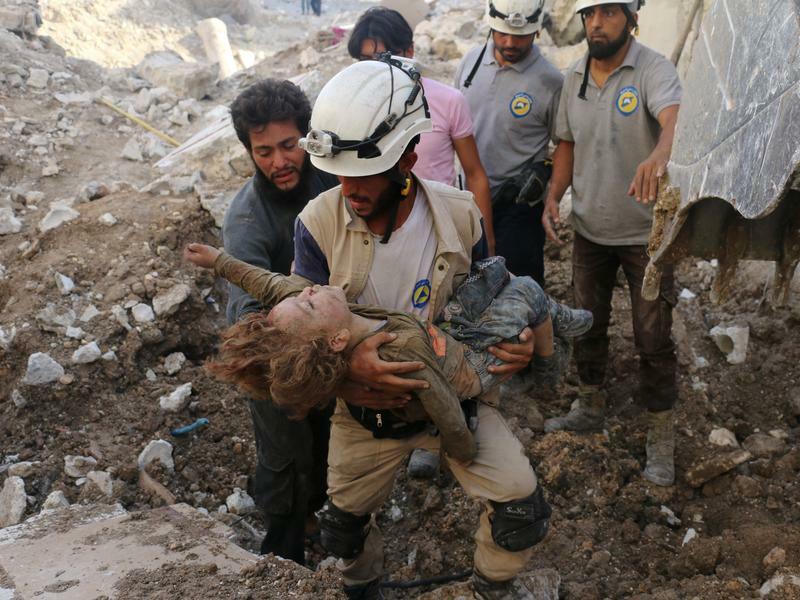 Hundreds of Syrian rescue workers from the United States-backed White Helmets group have been evacuated through Israel into Jordan, escaping an onslaught by the regime of Syrian President Bashar Assad on one of the last opposition strongholds in the country. 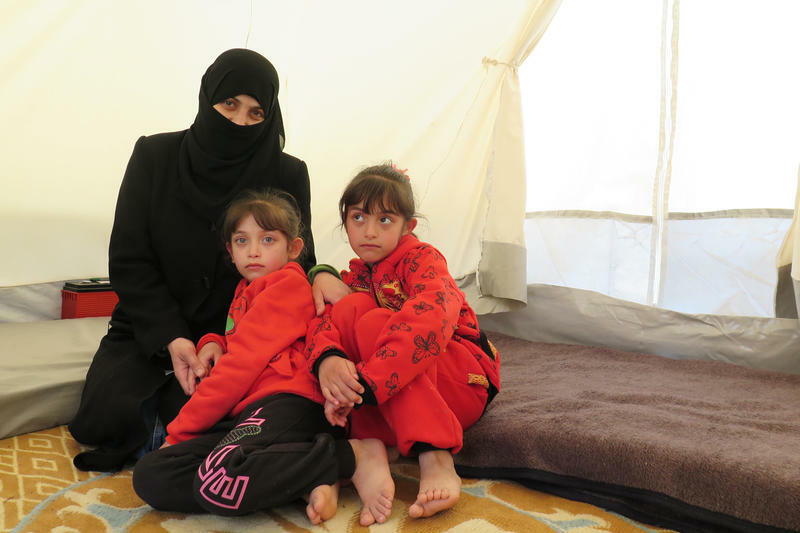 Hala hugged her 10-month-old baby close as she sat in the front seat of the pickup truck piled with the family's few possessions — thin mattresses, blankets, a small suitcase — as she waited to cross into Syria. She had dressed neatly for the journey, in a carefully pinned maroon headscarf and black abaya gown. She tried to think of the positives: Her family would no longer be strangers in a foreign land; her children would set foot in their home country for the first time. But as her convoy began to move toward the Syrian border, her nerve wavered. Seema heard the children on the upper floors of the house scream "chlorine, chlorine!" Amina says she felt gas hit her lungs. Abu Faisal found himself caught in a yellow-tinged cloud. 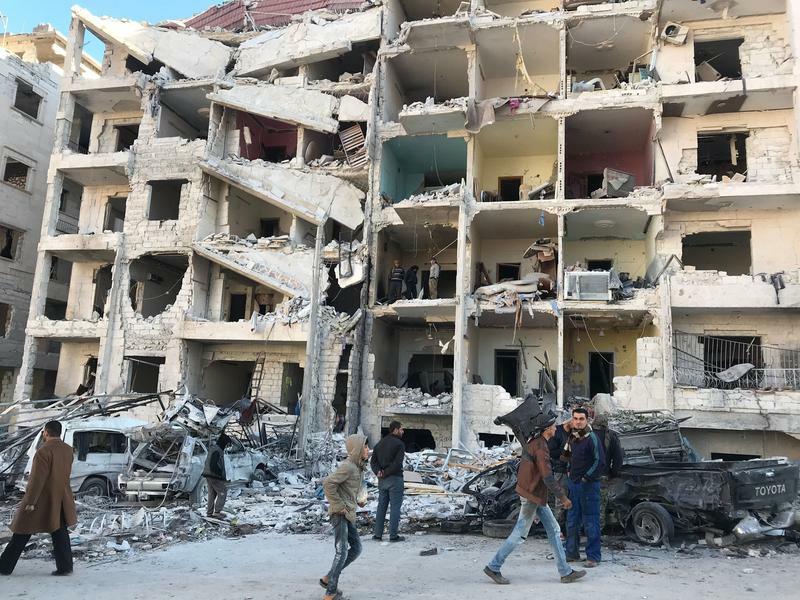 These are just some of the testimonies collected by NPR from now former residents of Douma, a town outside the Syrian capital Damascus, who say that on the night of April 7, they endured the terrifying experience of a chemical weapons attack. In Syria, government forces have nearly retaken rebel-held eastern Ghouta near the capital of Damascus. It's been under bombardment by Syria and Russia for weeks. One by one now, rebel groups are making deals to leave. NPR's Ruth Sherlock reports. 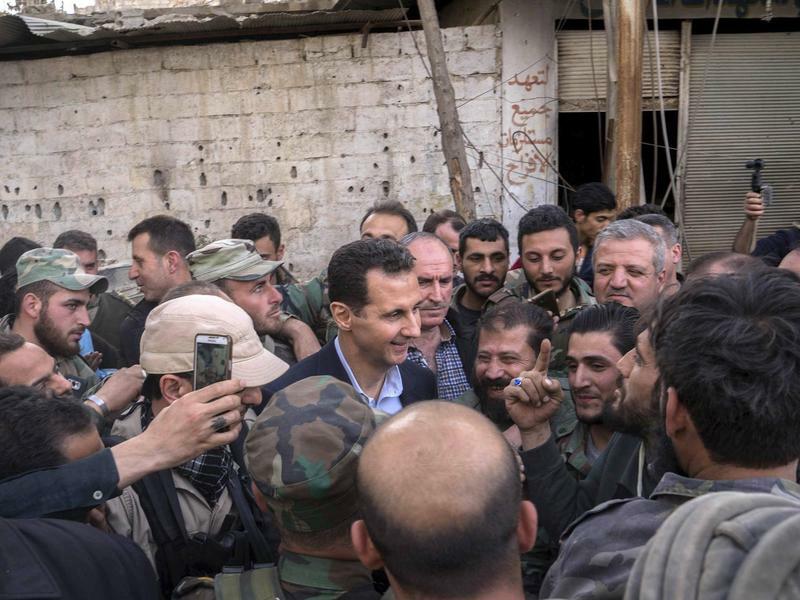 Dressed in a sharp black suit, Syrian President Bashar Assad smiles for selfies with his soldiers against a backdrop of blown-out buildings and a battered tank. Weary-looking men crowd around him and chant the slogan frequently heard on this side of the country's war: "With our souls and blood, we will sacrifice ourselves for you, Bashar!" This week, pro-regime media posted photos and videos of Assad visiting what they claimed was a town regime forces had recently captured in eastern Ghouta, an area east of the capital Damascus. 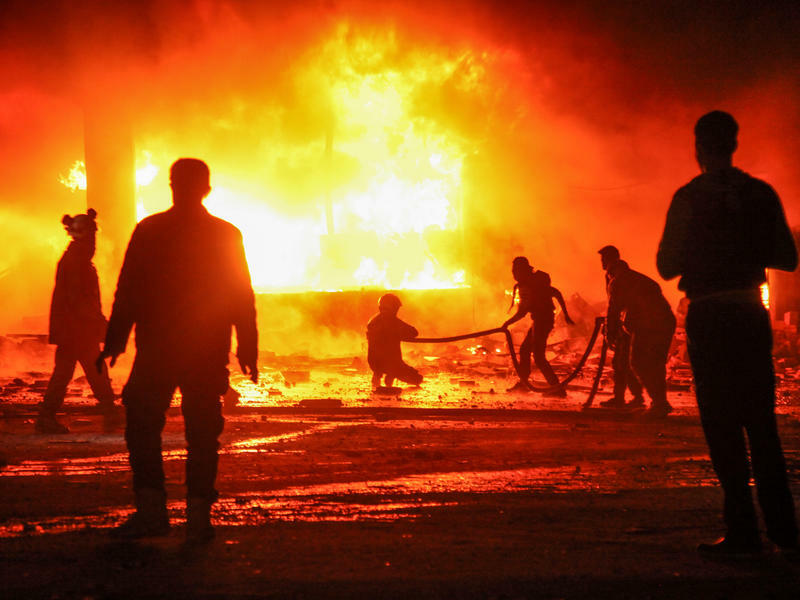 Residents in parts of Syria have been experiencing some of the most terrifying days of their seven-year-long war. 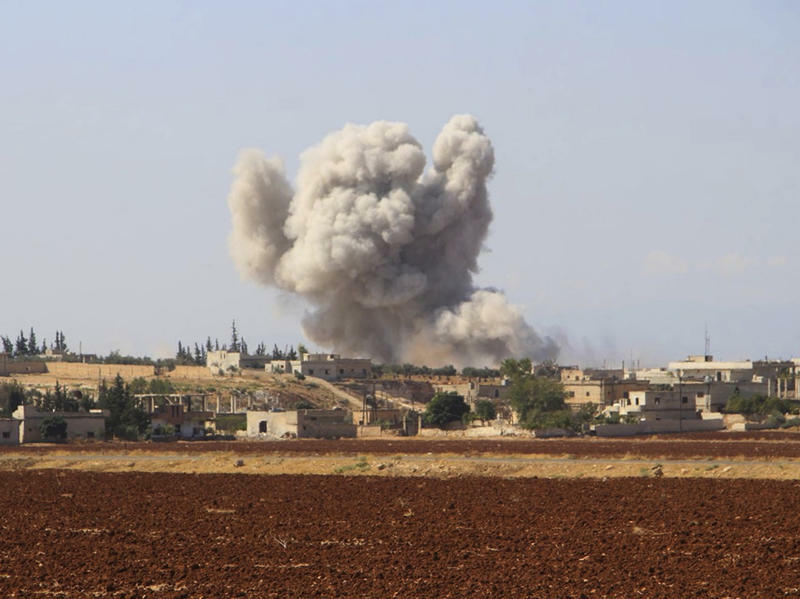 This week, the Syrian government and its Russian ally pummeled towns and villages in the opposition-held northern Syrian province of Idlib with air attacks. A relentless series of payloads were dropped in the space of just a few hours in the darkness of Sunday night. The dead are still being counted. Residents say dozens of people are missing under the rubble of collapsed buildings. 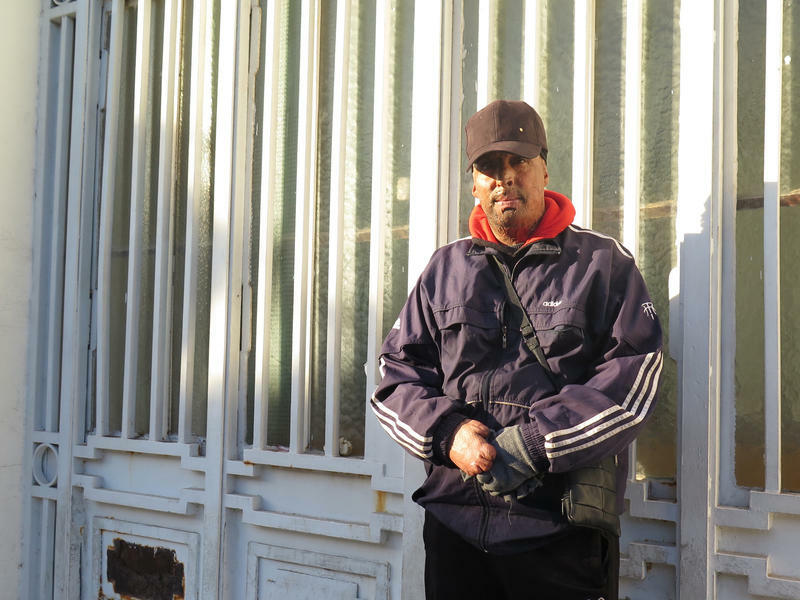 In downtown Tunis, Hosni Kalaya watches from the sidelines as Tunisians celebrate the seventh anniversary of the country's revolution. A wide-brimmed baseball cap keeps in shadow his face, badly disfigured by burn scars. After almost seven years, some half a million people killed and a recent string of victories by the Syrian military, there's a sense the Syrian war may be coming to a close. Russia, which backs Syrian President Bashar Assad, declared last month its mission accomplished and announced a partial pullout of its troops. Syrian state television now regularly broadcasts footage celebrating its military commanders as national heroes. And investors from around the world speak in increasingly excited terms about that most lucrative phase of war: reconstruction.